I went downtown today with a distinct lack of planning or ambition. I didn’t want to try going for speed again tonight, but I didn’t have any other ideas of what to do. But when I got there, George said he was going to do a vertical kilometer. 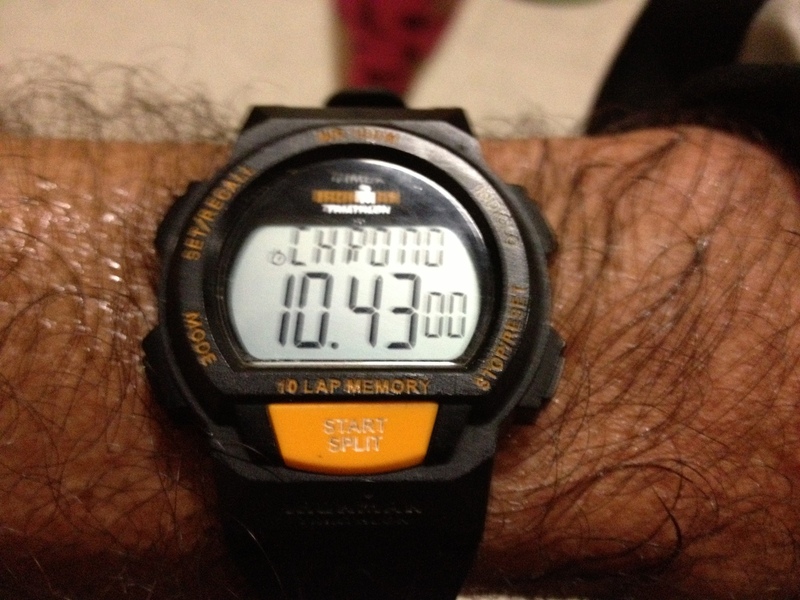 He had added up my times from when I did it a couple weeks ago, and they totaled 59:10 of climbing time. So he was going to try and beat that total. And with that, he lit a fire under me, and I had a goal for the evening. My goal was to do the five climbs again, and to improve on my time, and to beat George. The first time up, I was fresh and ready, and I turned in a 10:30. Not blazing fast, but a good brisk pace. 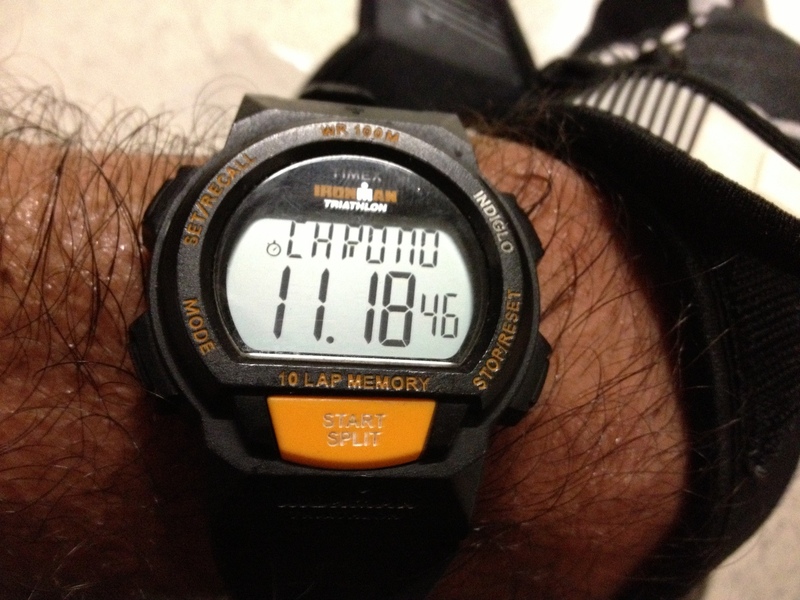 The second time, I went a little slower, but still was under 11. Each time up, I was aiming for my usual 4 1/2 floors per minute pace, and I hit that on the third and fourth climbs, coming out at the top in 11:18 and 11:25. At that point, I checked my watch, and it was 6:58PM, So I knew that I’d be able to make it back down to the start before they closed the door at 7:10. At the bottom, I had a couple of minutes extra to spare before the door closed. So I stopped and had some water before heading up the stairs for the fifth time. In the past, when I’ve done five climbs in one session, the fifth time up is a real slog. It’s hard to keep moving, and I just keep thinking, “Who the HELL thought this was a good idea?? 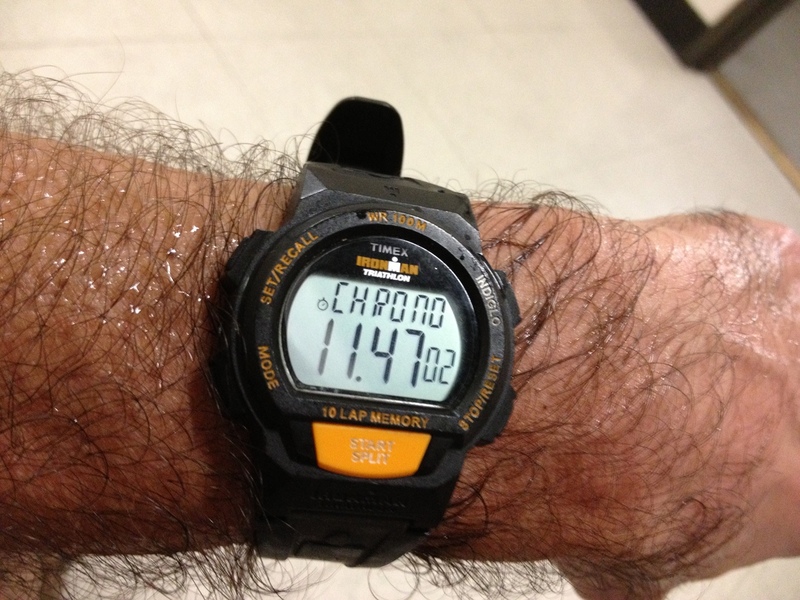 ?” But this time, all the way up the 51 floors, I just kept chanting to myself, “Beat George! Beat Geoge! 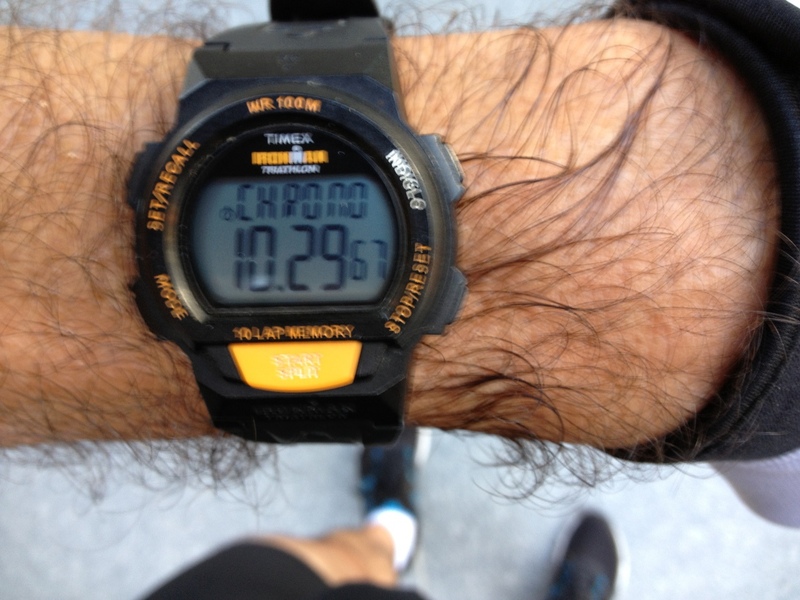 Beat George!” It was a good mantra, and I was almost able to maintain my pace, even on the fifth time up. And when I got to 49, I could see that I had a chance of making the top in under 12 minutes. Somehow, I managed to run up the last two floors, coming out on top at 11:47. So my total for the five climbs was 55:43, which I found pretty remarkable. This is the first time I’ve done five climbs and had them all under 12 minutes. 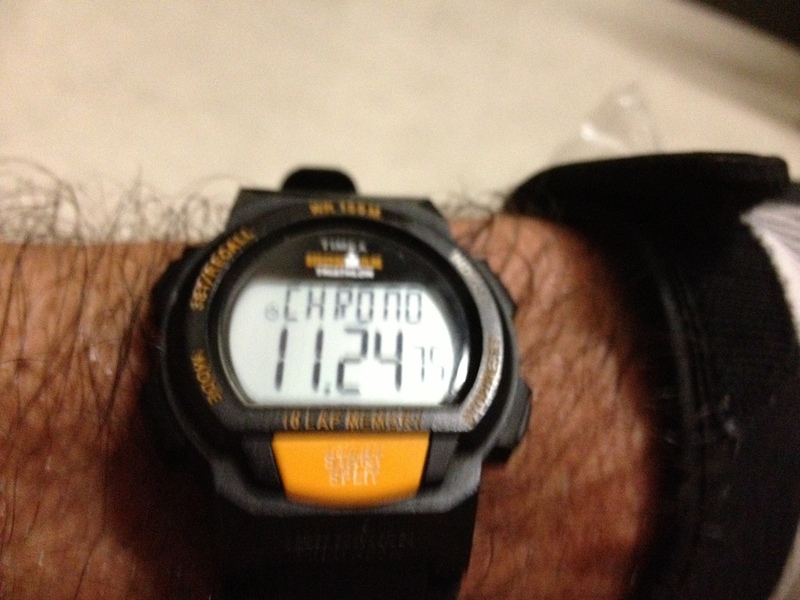 And the average was about 11:09, which is not bad for doing five consecutive climbs up a 51-story building. Nothing like a little friendly competition to gin up some motivation. Of course, that means that the next frontier is to push the average below 11. Maybe that’s my goal for next week. In any event, it was a good evening.